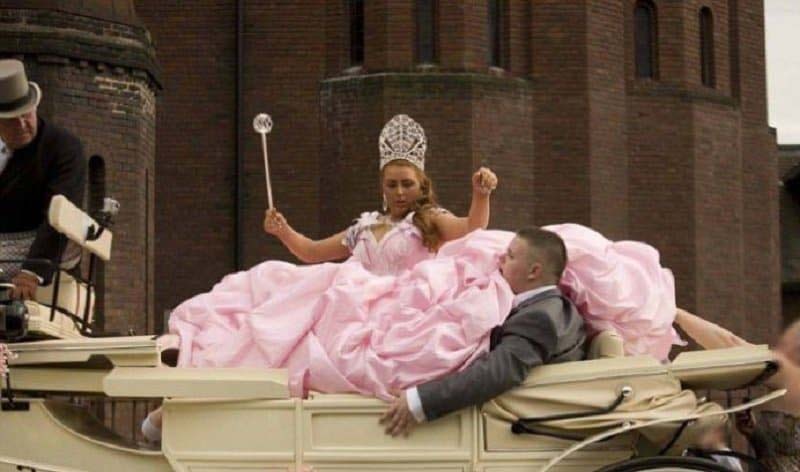 There’s nothing wrong with having an eye-catching dress at your own wedding but it is probably best for it to not be quite as big as this one. 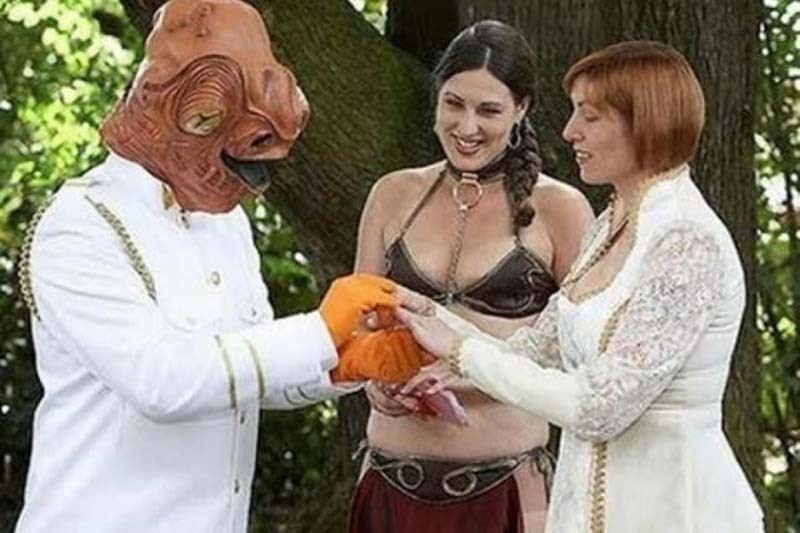 Unfortunately, this couple didn’t realize the mistake they had made in choosing a Star Wars theme until it was too late. Someone obviously thought this would make for a great photo opportunity rather than an invasion by almost naked men. 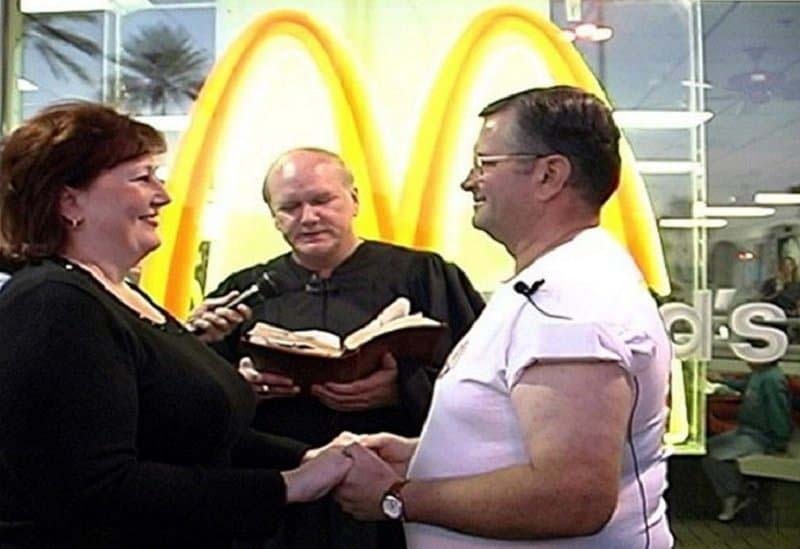 Even if you love McDonalds, you would probably realize that having your wedding at one of the fast food restaurants wasn’t the best of ideas. 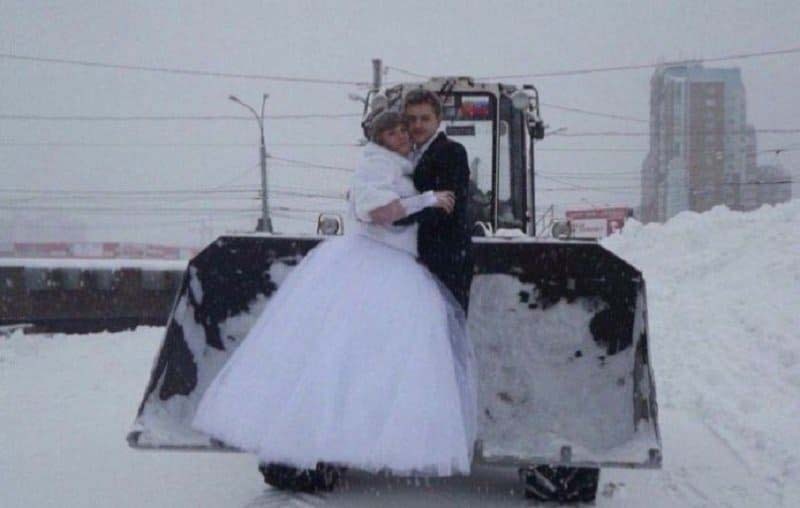 If you have a tractor at your wedding it means you can easily shovel snow out of the way and ensure you can get a photograph without having to get your feet all wet and cold. 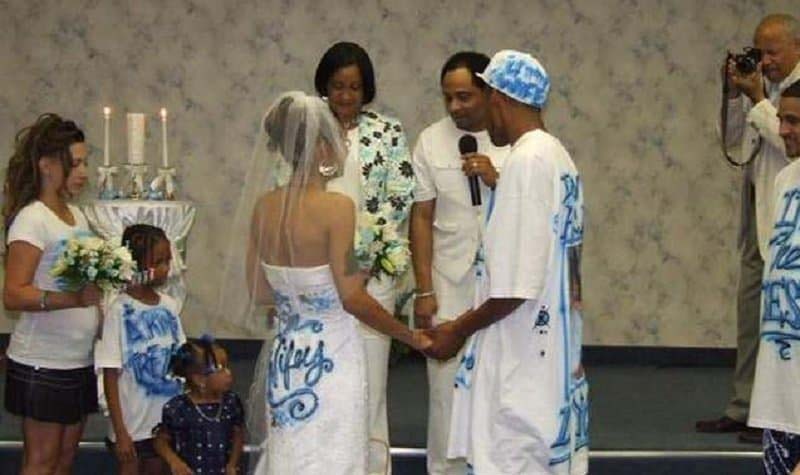 This couple probably thought that having everyone wear little clothing for their outside wedding would prevent them from getting too hot and sweaty. 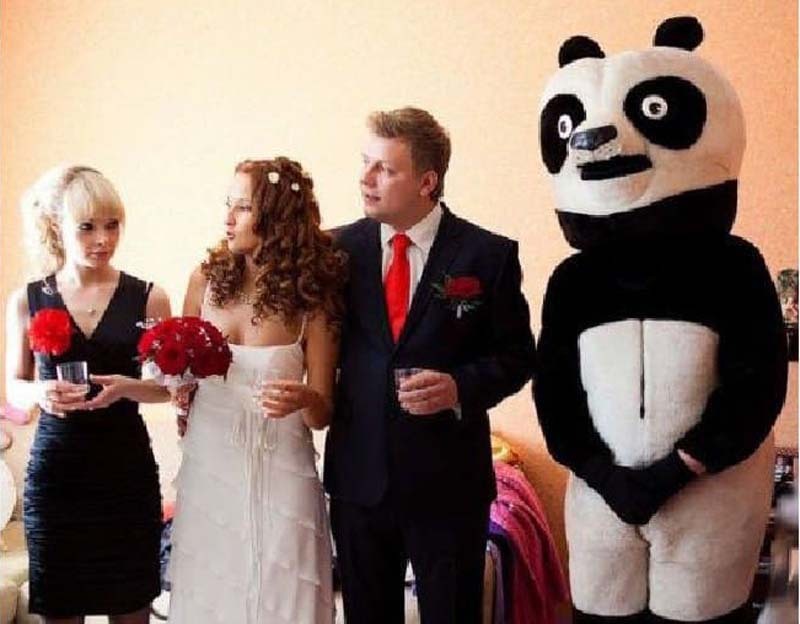 It’s going to be hard to explain to the grandchildren why there was a person dressed up as panda at their wedding, even if it seemed like a fun idea at the time. 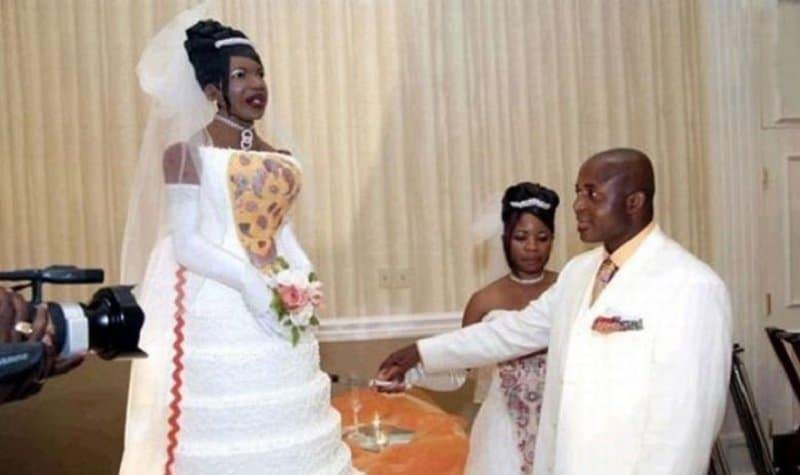 What bride wouldn’t want a giant cake made in their own likeness? From the look on her face though, not this one. 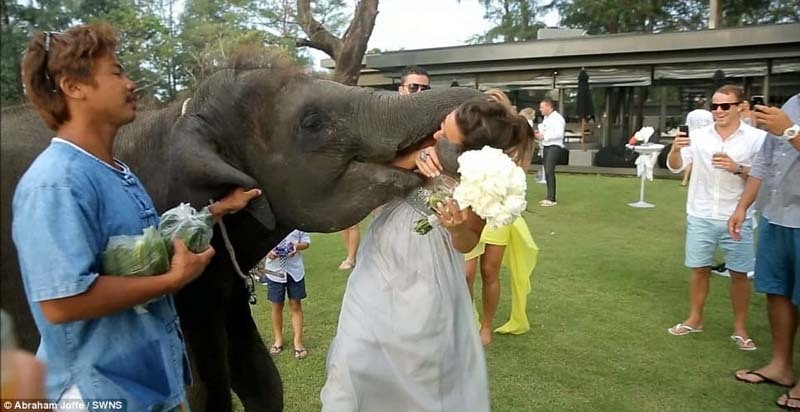 When somebody suggested bringing an elephant to the wedding, the couple most likely thought it was a great idea – until it tried to eat the bride. It’s hard to add more of a personal touch to a wedding than tagging the clothing that everyone is wearing.